From adding unique designs on t-shirts to school uniforms, our 8.5" x 11" Premium Iron-On Transfers for Light fabric (20 sheet pack) can bring out the DIY enthusiast in anyone with an inkjet printer. 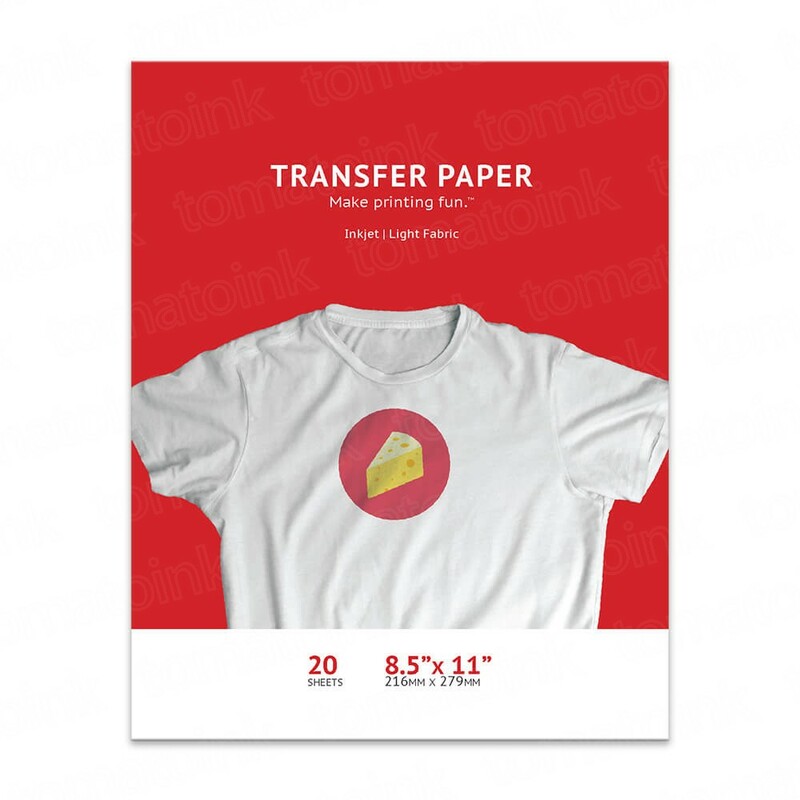 TomatoInk's premium transfer papers must be used on white or very light colored fabric and they help colors remain lively even after washing. 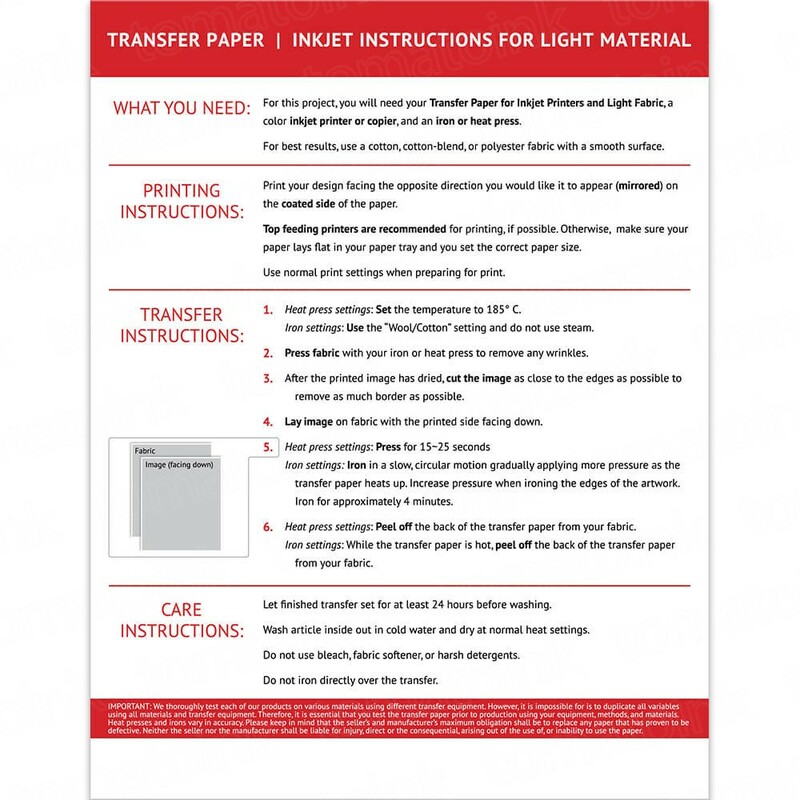 Designed to be compatible with most inkjet printers.